With the excitement surrounding the emergence of LED lighting and displays, it is becoming increasingly important to be able to measure the performance of LEDs and LED-based systems in accurate and meaningful ways. This is even more important as LEDs are increasingly used as an alternative to more traditional technologies. The intended purpose of the measurement – to inform development, to characterize or evaluate finished products, for production quality control, or for in-use performance assessment – determines the photometric and colorimetric quantities that are important to measure. This – plus constraints on measurement time, accuracy, and cost – determine options for measurement methods. We survey a number of measurement methods that generate either near-field or far-field models of the LED or luminaire and evaluate their strengths and weaknesses to guide us in selecting the right measurement method for the application. Of particular interest is not only the measurement of individual LEDs, but also the measurement of LED arrays, luminaires, and displays. Figure 1. High-resolution measurement of LED light and color output is needed for accurate optical design. LEDs are an amazing technology. LED-based lighting and display systems are becoming increasingly popular due to their low cost, flexibility, and efficiency. Measuring the light and color output of LEDs and LED-based systems is therefore becoming more important as their performance is compared to and evaluated against traditional technologies. In addition, inherent performance variations from device to device must be understood and controlled. Measurement objectives span informing or assessing a LED or LED-based system design, characterizing a light source, evaluating the source for acceptance testing or quality control, or modifying and controlling performance. Standards and recommendations on the measurement of LEDs are important guides for what measurement quantities are significant and how they might be measured, especially when characterizing LEDs for use in lighting systems. For incoming (IQC) or outgoing (OQC) quality inspection, a set of indicator quantities will most likely suffice, simplifying the measurements needed. In all cases, it is important that the measurement correlate to human perception of light and color. In measuring LED and LED-based systems, the selection of the measurement method and system will be a function of measurement objectives and, most likely, will be adapted to the specific nature of the LEDs. When compared to other light sources, LEDs have several interesting characteristics. First, placement of the LED die in the package can significantly affect the direction that light is output. 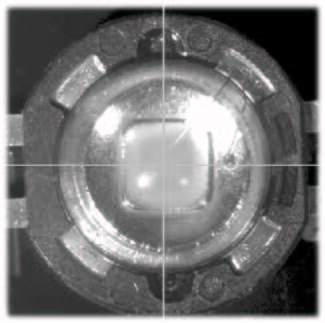 Second, when LEDs are initially turned on they require some time – perhaps minutes – to stabilize. Third, LEDs are inherently narrowband light sources, so the creation of white light requires some form of color mixing. Fourth, the output of LEDs will vary, non-linearly, with current. And finally, LEDs become less efficient over time due to electron depletion, and so “age” in use, diminishing in brightness over time. All of these factors should be taken into account when measuring LEDs. The performance of LEDs, and light sources in general, can be described in terms of the angular distribution of their output power as a function of wavelength. Direct description of output power as a function of wavelength is referred to as radiometric. To describe brightness and color as perceived by the human eye, this spectral power distribution is weighted according to how the human eye perceives different wavelengths of light, and then integrated to provide a photometric (brightness as perceived by the human eye) or colorimetric (perceived color) description. The color of a source (again, in a particular direction) is described in terms of a color space; the most common of which is the CIE 1931 color space. Here, color is defined in terms of XYZ coordinates – or tristimulus values, X, Y, and Z – where the Y coordinate is brightness of the source and the chromaticity parameters are derived from X, Y, and Z. Two other quantities describing the color of a source are often useful. First, there is Correlated Color Temperature (CCT), which is technically the color temperature of a black body radiator that most closely matches the source. CCT is measured in Kelvin (K). Less technically, higher CCT (>5000°K) are “cooler” color (more bluish) and lower CCT (<3000°K) are “warmer” color (more yellowish). Second, the color-rendering index (CRI) of a light source is a measure of the accuracy of the color appearance of illuminated objects when compared to illumination by natural (ideal) light. CRI can be derived from the spectral measurements of a light source. Unfortunately, CRI as a descriptive quantity is problematic. It provides indicative information, but is known to be inaccurate in some cases; newer approaches to defining CRI are being actively researched. For a complete description of an LED, LED lighting, or display system, these radiometric, photometric, or colorimetric quantities need to be described as a function of angle relative to the source. Brightness is measured as luminous intensity, which is the weighted (according to human perception) power emitted by a light source in a given direction per unit solid angle. This creates three interesting measurement considerations: first, why measure at all? Second, what angular granularity is required? And third, is the source measured as a point source or an extended source? The question of why to measure at all is more than a philosophical question. If the measurements are being done to characterize a source for modeling purposes, it can be argued that a theoretical model will suffice. In general, though, the potential complexity of a light source as a system and the potential for error in theoretical understanding are sufficient to make a measurement preferred, as it is a real description of the source. Of course, for evaluation, inspection, or control, having the real data specific to a device is necessary, as the measurement is the point. For some applications a point measurement from one viewing angle or a single integrated measurement will suffice. But for most applications, the variation of luminance and color with angle is an important attribute of the device, especially for LEDs, given manufacturing variations on where the die is placed in the package. A slight variation in angle can result in significant change in the distribution. There are two kinds of angular measurements: those in which all the desired output light is captured and measured and those where the angular data is sampled on a grid. In the latter case, the spacing between angular measurements can be determined based on the anticipated continuity and rate of change of distribution. Usually sufficient estimates of this can be made to define a measurement series or method that will produce good data. For some applications (such as evaluating the brightness of an LED indicator light), the source can be treated as a point source. For other applications, such as characterizing an LED or LED luminaire for optical design, the source should be treated as an extended source – meaning one that has physical extent and so has spatial variation in light output from point to point on the source. In this case, the source needs to be measured in a way that yields this more detailed distribution. Measuring the light as a point source yields a far-field measurement. Measuring the light source as an extended source yields a near-field model of the source. In application the near-field model is expressed for optical design purposes as a ray set. The quality and usefulness of the ray set will be a function of both the number of rays in the set and how the rays are statistically sampled based on the near-field measurements of the source. Common statistical sampling methods range from simple Monte Carlo sampling to importance sampling. Importance sampling weights rays according to the brightness of the point on the source where they are emitted rather than just selecting starting points with equal weighting. A near-field model can be extrapolated to a far-field model, but the reverse is not true. This is because the far-field model is a limiting case of the near-field model with a collapsed light source. A rule of thumb for the boundary between the near and far-field regions for optical devices is about 10X the largest dimension of the source. So, for an LED, this would be a few centimeters, but for a luminaire this might be tens of meters. Beyond this range the far-field model and the near-field model will give essentially the same results. Source Imaging Goniometers are designed to very accurately measure the near-field luminance distribution of a light source. Imaging colorimeters (calibrated CCD-based cameras with CIE match photopic and color filters) overcome these issues, providing the equivalent of millions of simultaneous spotmeter readings on a spatial grid. A typical imaging colorimeter consists of a full-frame or interline CCD, photopic or colorimetric filters, and lenses. The choice of CCD will depend on the application, with the full-frame CCD preferred when there is to be no gap in the image capture and when higher dynamic range is required. The CCD may be cooled and temperature-controlled to reduce noise levels. Careful electronic design and regulation of readout speed will also reduce system noise. The photopic or colorimetric filters are preferably specially designed to allow the system to match the CIE color curves for Red, Green, and Blue. The overall system, with the lens included, is usually extensively calibrated to remove the effects of any optical aberrations or CCD variations. While not all of the measurements methods applied to LEDs and LED-based systems require the use of an imaging colorimeter, these measurements can often be made more extensively, or faster, by using one to capture multiple arrayed measurements simultaneously. This is particularly important when measuring an extended light source, an array of LEDs, or an LED display. In each of these cases the spatial relationships are a key component of the data required to describe and understand the system. 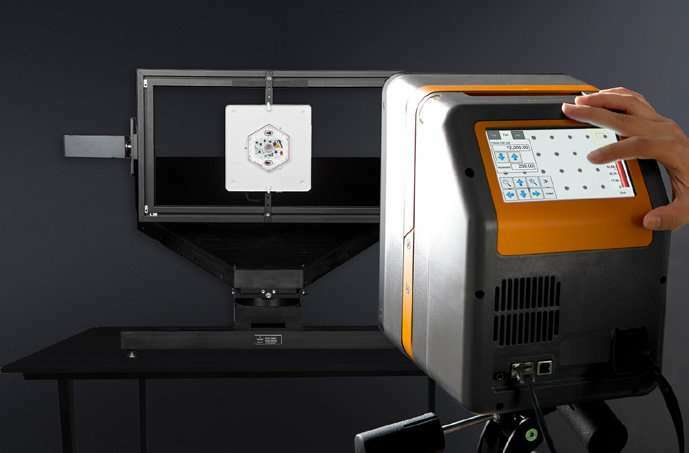 While there are a number of physical configurations possible, they virtually all move the imaging colorimeter around the light source and capture the output light distribution at the source from multiple – usually thousands – of viewing angles. This information can be stored as raw data or converted to ray sets on the fly. Either data representation is considered a near-field model. Critical attributes describing the physical accuracy of the source imaging goniometer are captured in a parameter known as “wobble” – this is the maximum excursion of the focal point of the system from its origin as the system is moved to various measuring positions. For measuring an LED die, which can be about 0.5 mm across, this wobble should be no more than a few tens of microns (i.e., only a few percent of the dimension of the die). Similar accuracy requirements hold when measuring packaged LEDs and any other light source. These measurements, since a scan consists of thousands of images, generally require several hours to complete for a single source. Faster measurement times are possible by compromising on angular resolution, imaging optics, or the allowed error, but this is really unacceptable for LED die and device characterization. Recent advances in Source Imaging Goniometer technology incorporate the simultaneous acquisition of spectral data. A photogoniometer measures the far-field distribution of an LED by using a goniometer to move a colorimeter (or spectroradiometer) relative to the LED device. This has the advantage of allowing multiple measurement devices to be employed to vary the information obtained from the scan. The disadvantage of the photogoniometer is the length of time required to make the measurement and the complexity of achieving the required mechanical accuracy. can obtain detailed performance measurement in a compact laboratory space. There are several applications that require the measurement of LED luminaires: optical design requiring near-field models of LED lamps, quality control, and illumination measurement. The most significant challenge in measuring luminaires is to have sufficient space to measure large sources. 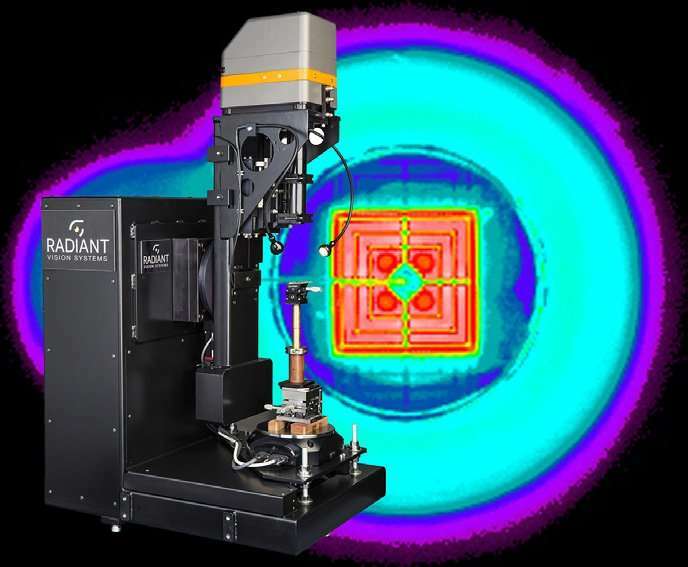 Source Imaging Goniometer near-field models are the most comprehensive representation of the luminance and color output of LED die and devices as a function of angle. Near-field Imaging Goniometers are designed to measure large light sources. When compared to source imaging goniometers, there is generally some design concession made to enable a large source to be manipulated in the view of the imaging colorimeter. A typical configuration, shown in Figure 3, consists of a two-axis goniometer and an imaging colorimeter. The light source is rotated through an automated measurement sequence in the view of the imaging colorimeter and the associated software constructs a near-field model of the source. This system allows the spectrum of the LED luminaire to be measured simultaneously, and so a spectral distribution as a function of viewing angle can be produced as well. Since the imaging colorimeter is able to measure the LED luminaire from within the near field of the light source, this method allows measurement in a very compact laboratory setup. The resultant near-field model can be used for optical design using the LED luminaire. The model can also be extrapolated out to give an illumination distribution at any distance, on any surface. The main limitation of this measurement approach is the time that a scan takes, which can be several hours depending on the angular step size desired. 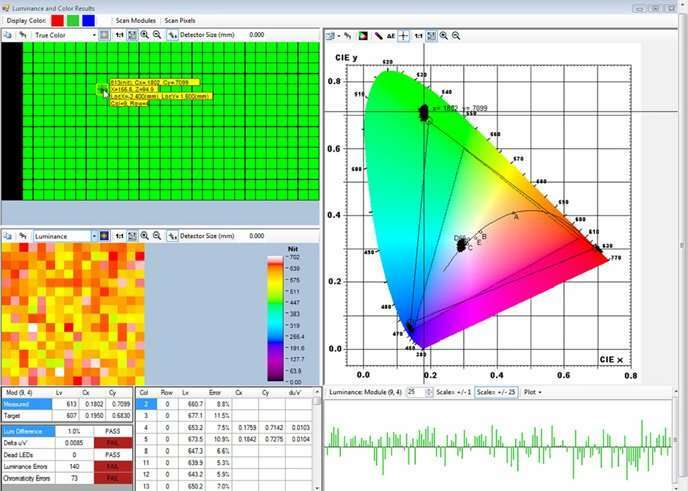 An imaging colorimeter is ideally suited for measuring LED arrays and LED (and other) displays, as the measurements are taken on a spatial grid that generally matches the way that images and information are presented on a display. A photogoniometer – generally larger than the type used to measure individual LEDs – can be used to measure LED luminaires. For the measurement to be accurate, the sensor must be in the far field relative to the light source, so either the system needs to be fairly large (requiring a large lab) or a system of mirrors is required to fold the optical path. Again, the flexibility of using interchangeable sensors is positive, but a full measurement sequence does require an extended period of time as well as sufficient lab space. ■ Figure 4. Imaging Colorimeters provide very high-resolution 2D spatial measurements of luminance or illuminance distribution. An imaging colorimeter can be used to directly measure the illumination distribution of an LED luminaire. To do this, the light from the luminaire is projected on a surface (whose optical response has been baselined) and the imaging colorimeter is used to image the beam pattern on the surface. The result is an illumination distribution. This measurement is very fast – just a few seconds of imaging time – but requires sufficient space to set up as the distance from the LED luminaire to the surface (usually a wall) should be enough for a far-field measurement. Because of the speed of measurement, this method is generally best for quality control if the full illumination distribution is desired for making pass/fail decisions. LED arrays, which may be related as in LED clusters forming together a lamp, or unrelated as in a grouping of indicator lights, can often be measured simultaneously to increase measurement efficiency and overall speed. These arrays can consist of a few LEDs together (in the simplest case) up to literally millions of LEDs in a high-resolution LED video screen. The measurement of the array is made from one particular viewing angle – usually a direct view normal to the array – and luminance and color are measured for each individual LED. This provides a comparison between LEDs under the same conditions and allows relevant spatial relationships – such as uniformity of luminance and color across an LED display – to be analyzed. Once the relationship between LEDs has been measured, this data can be used for characterization or evaluation or, in some interesting applications, for control. Because the luminance of LEDs can be adjusted using current or PWM (pulse width modulation) control, this allows the possibility of changing the performance of the LED array by making adjustments in the power to each individual LED. This measurement information can be used to balance output. For LED displays, this spatial information is critical as performance variations between LEDs result in aberrations in the displayed image. A display – whether showing still images or videos – has to be uniform in color and brightness, and has to match a prescribed color gamut. Indeed, the basic performance parameters that apply to any display technology apply to an LED display. There are several ways that LED displays are special, however: First, the performance of individual pixels can be controlled (with appropriate electronic design); and, second, the displays are modular, making differences between modules very noticeable. Therefore, the same imaging colorimeter measurements that capture the performance of the screen can also be used to prescribe how to correct the screen. Because of the breadth of applications that exist for LEDs as indicator lights, in backlights, in luminaires, and for displays, there is a comparable breadth of radiometric, photopic, and colorimetric measurement methods. These methods balance measurement time, resolution, information content, and logistics to address the needs of R&D, manufacturing, and field applications. The most important questions to ask in measuring LEDs or LED-based systems are: Is near-field or far-field data needed? Is angular data needed? Is an array measurement required? The answers to these questions will indicate the measurement options. In many cases, the use of an imaging colorimeter is optimal because it can capture a large number of simultaneous, spatially-related measurements. An imaging colorimeter is also flexible enough to be coupled with goniometric systems or other optics (e.g., the imaging sphere) to measure light and color distributions quickly and with high granularity. As advances are being made in the design and application of LEDs and LED-based systems, so too are they being made in how imaging colorimeters can be used to measure LEDs (e.g., by integrating spectral measurements) and improve their performance (e.g., through the correction of LED video displays). 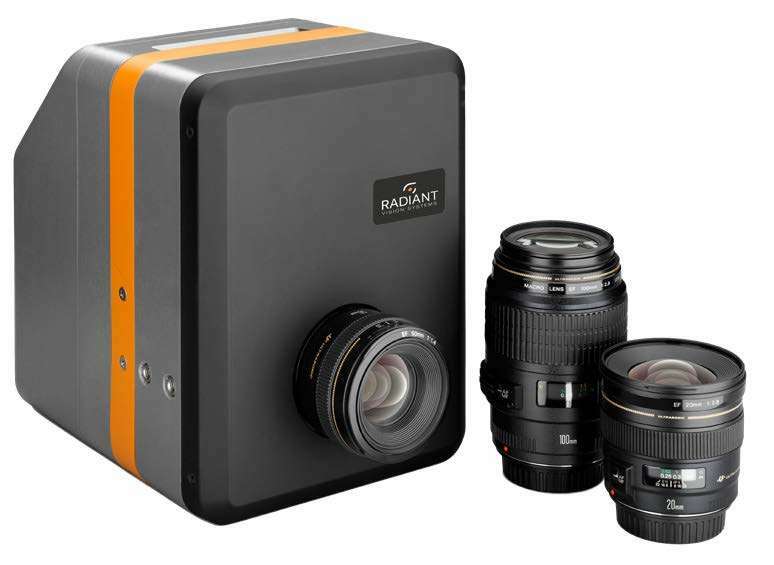 Radiant Vision Systems product lines include TrueTest™ automated visual inspection software for quality control, and ProMetric® imaging colorimeters, photometers, and light source measurement systems. Radiant Vision Systems provides global support for LED measurement solutions. Our support staff provides engineering, installation, training, maintenance, and calibration services. Radiant Vision Systems has direct offices in the US, China, and Korea, supporting thousands of products currently deployed on production lines worldwide.